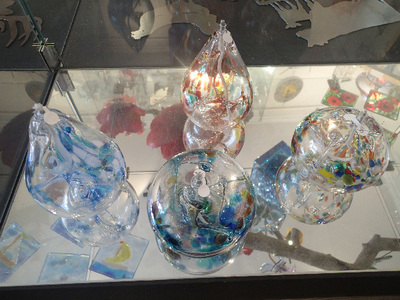 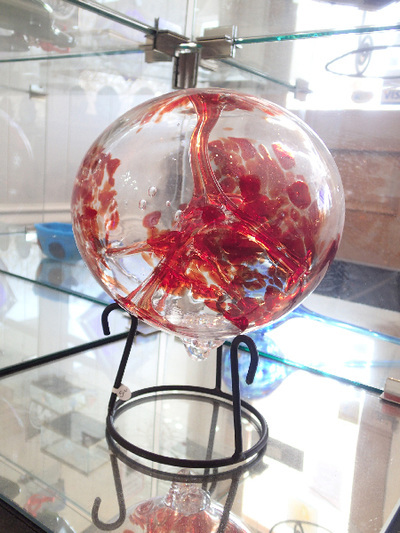 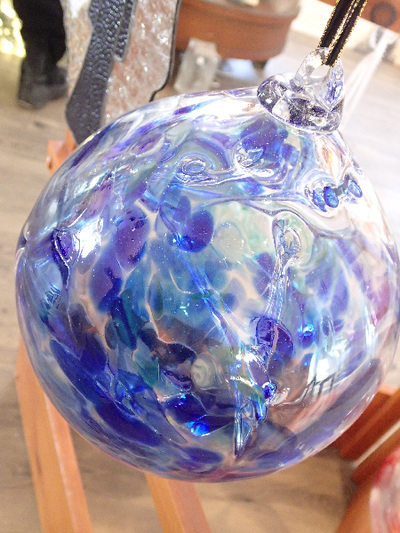 Unique blown glass. 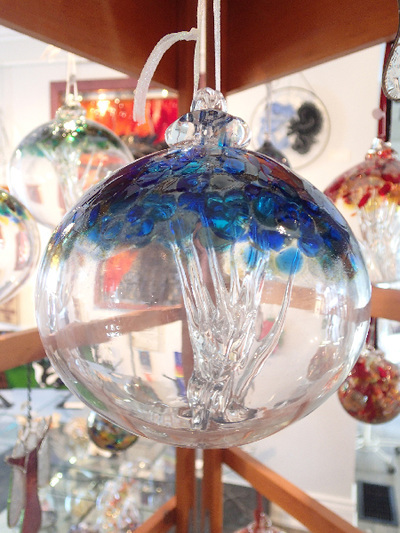 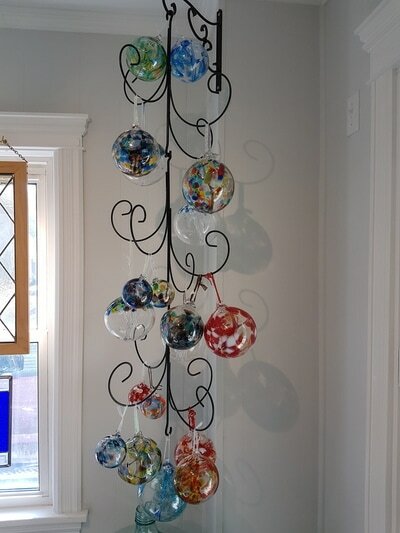 Specializing in ‘Tree of Life’ balls in seasonal colours. 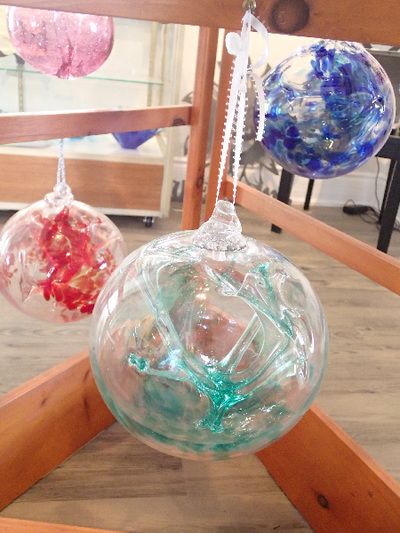 Large gazing balls, spiderweb balls and friendship flame lamps in many colours and shapes.